I like John Barry’s The Great Influenza very much, although not entirely for the reasons that I had expected to like it. I wanted to learn more of the details of the worst flu pandemic in history, and the book delivers those details. But I had not expected that there would be substantial discussion of the epistemology of science and medicine, and of the political and global context that preceded and affected the 1918 H1N1 influenza pandemic. As an added bonus, the book gives substantial coverage to the life and work of one of my heroes, Oswald Avery. As a result of his research related to the pandemic, he discovered that DNA was the genetic material—a huge milestone in the history of medicine. But he never received the Nobel Prize because the Nobel Committee didn’t want to be seen endorsing controversial work that had not stood the test of time. On the other hand, the Nobel Committee had no such compunctions about giving the Nobel Peace Prize to President Woodrow Wilson. Barry’s book indicts Wilson for having major responsibility for the severity of the pandemic. His administration drafted huge numbers of young men to fight in WWI, bringing them into close contact in shoddy, incomplete training camps. Some of these young men already had the flu, and they quickly spread it to many of their fellow soldiers. The Wilson administration continued to move these soldiers around the country and to Europe, vastly speeding the spread of the disease. Barry also documents that the Wilson administration, in the name of patriotism and morale, punished those who told the truth about the severity of the pandemic. The results extended far beyond the trampling of civil liberties. For example, there was a huge parade in Philadelphia to sell war bonds, a parade that could easily have been canceled, but was not—igniting the rapid spread of the disease in that hard-hit city. 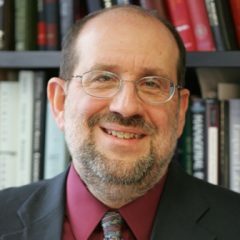 If the newspapers had been allowed to print the truth about the pandemic, then there probably would have been sufficient outcry to cancel the parade; or at the very least, many better-informed citizens would have avoided the parade, and saved their lives, and the lives of their family members. There is also a lot in book about the biology of the disease that is of interest, and about the suffering of those who experienced it. But what I found eye-opening was the extent to which the severity of the disease was due to avoidable actions by Woodrow Wilson and his administration. 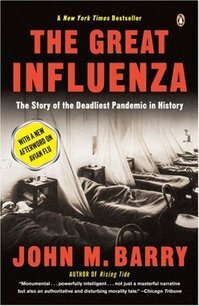 Barry, John M. The Great Influenza: The Story of the Deadliest Pandemic in History. Revised ed: New York: Penguin Books, 2005. Raico, Ralph. The Spanish-American War and World War I, Parts 1 & 2: Knowledge Products, 2006. Diamond, Arthur M., Jr. “Avery’s ‘Neurotic Reluctance’.” Perspectives in Biology and Medicine 26, no. 1 (Autumn 1982): 132-36.